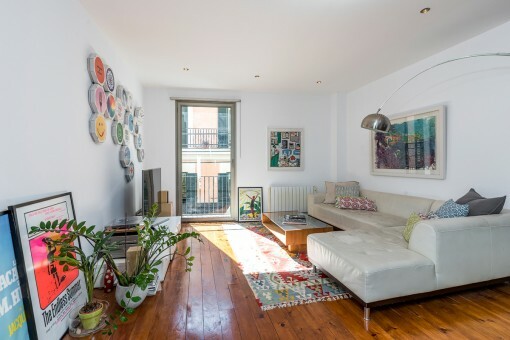 This stylish, compact apartment is situated very close to the Plaza Mayor on the 3rd floor (without lift) of a residential building containing only 4 living units. 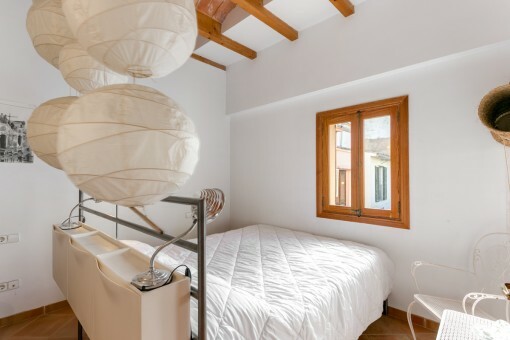 The building was completely renovated in 2001 whereby great care was taken to preserve its original charm. 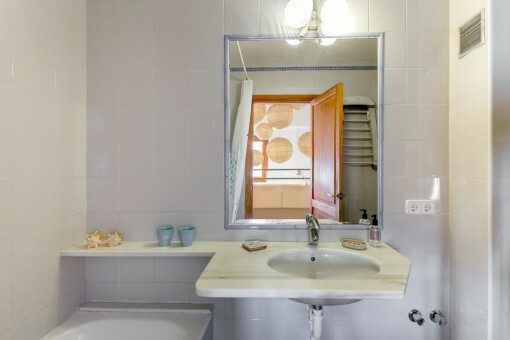 With a constructed area of approx. 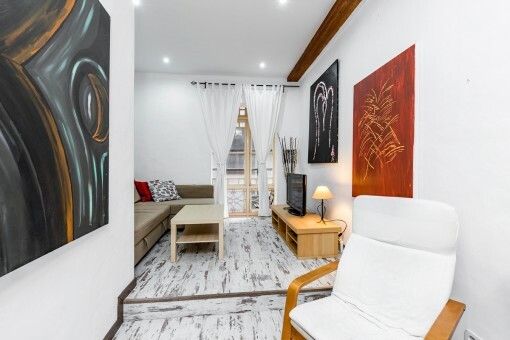 61 sqm the apartment has a living space of 51 sqm distributed over a kitchen/living area and separate bedroom with en-suite bathroom. 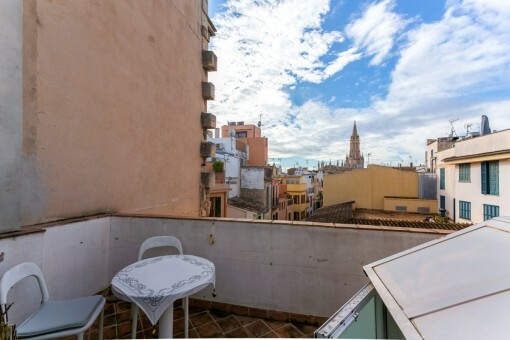 The remaining space belongs to a roof terrace from where there are panoramic views and where the sun can be enjoyed at all times of the day. 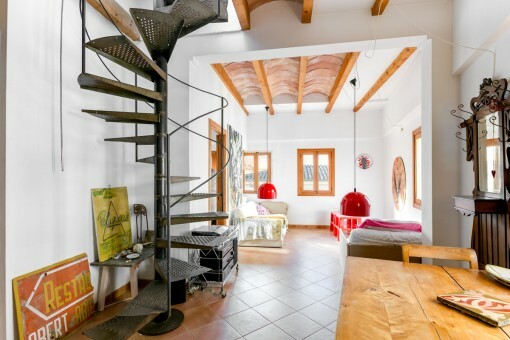 The roof terrace is accessed via a spiral staircase from the living area. 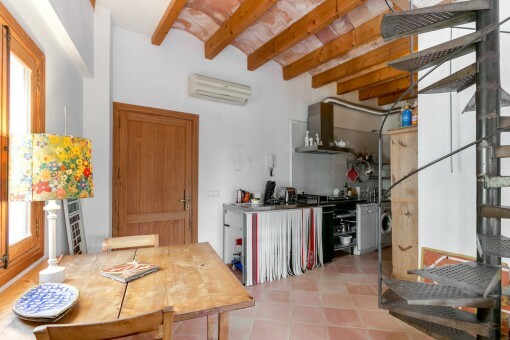 Further features include tiled floors, wooden windows with single glazing, hot/cold air conditioning and a modern kitchen fitted with washing machine and dishwasher. 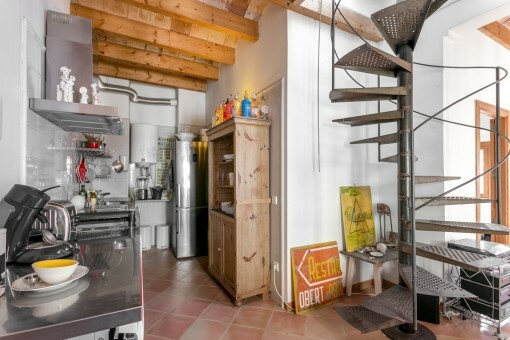 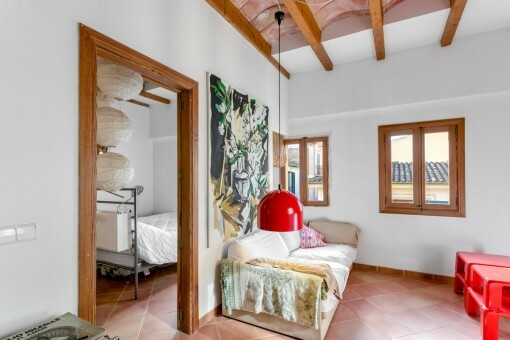 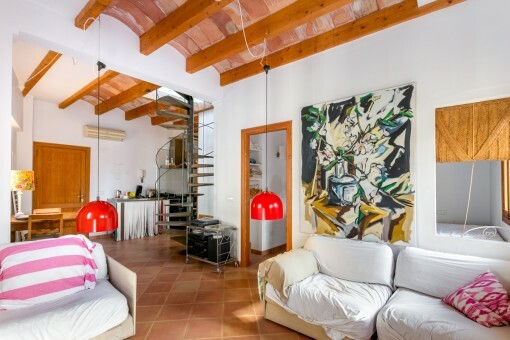 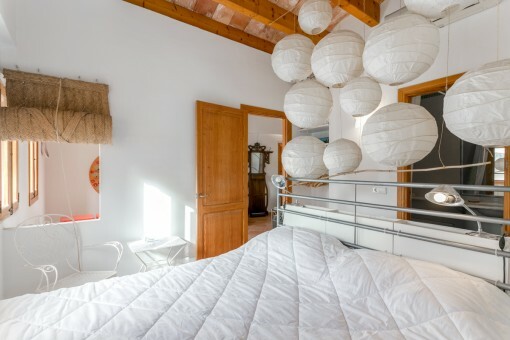 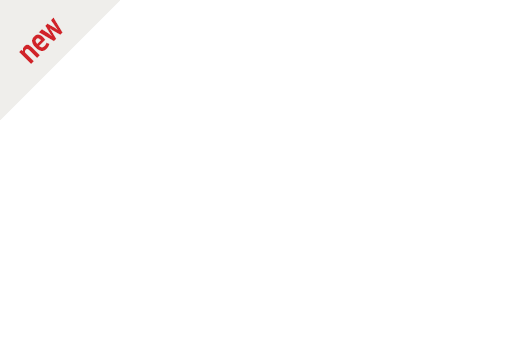 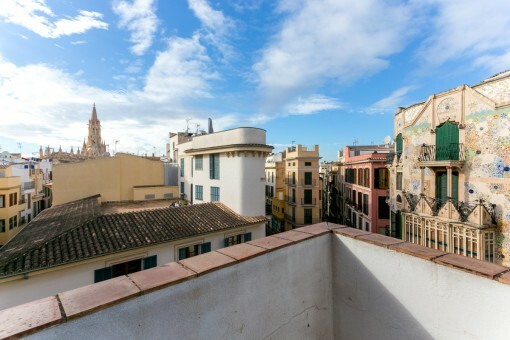 I'm interested in: Stylish old-town apartment with roof terrace in Palma (Objekt-Nr.112599). 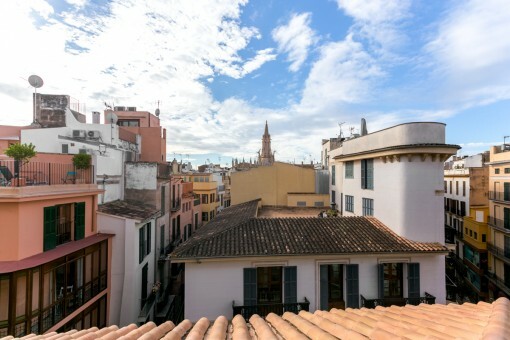 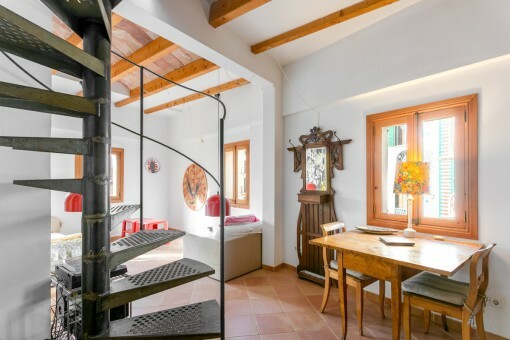 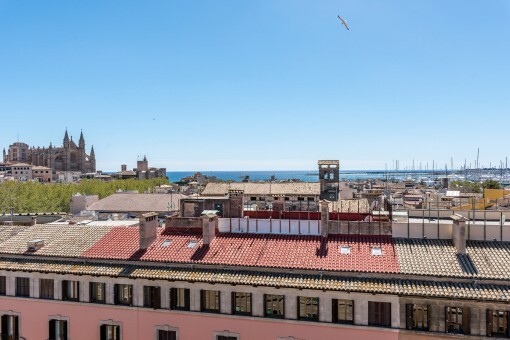 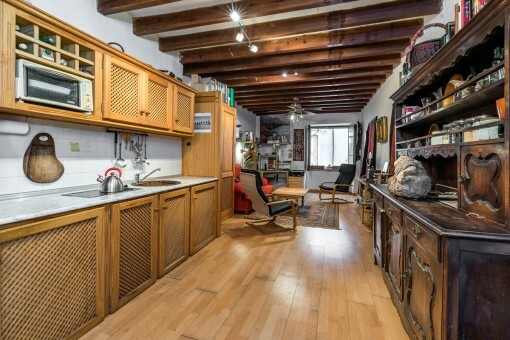 you are reading: Stylish old-town apartment with roof terrace in Palma -purchase · Porta Mallorquina Real Estate Rating 4,8/5 by 200 testimonials.